On a hot summer night in Phoenix, Arizona, I sat in a small church hall. On the stage in front of me a girl of 14 years was performing a violin concerto. She was followed by a 16 year old girl who recited poems she had written herself. She spoke of the feelings and hopes of a teenage girl. Both girls had dark hair, dark eyes and hispanic names. I don’t know if they were born here in America or had come here as immigrants. But I knew that had they grown up in another country, they might never have had the chance to learn to play the violin. Or they might never have had the freedom to write about their own life and tell the public. I looked at my own daughter. She loves music. She loves the arts. She loves to dress “fancy.” She is not shy to speak her mind. In many countries of the world she would get in trouble for her independence. But she and the two hispanic girls in that church in Phoenix grow up in America. They grow up in a country where they are free to be themselves. They are free to live their dreams. Dreams and hope for the future. This is what our work in the Law Offices of Wolf W. Kaufmann is all about. We know there are many people in the world who have a dream: the dream of living in a place where there is hope for tomorrow. The hope to take part in the dream that has brought immigrants to this great nation for centuries. We work hard to help you make your dream come true. Some day you might invite me to listen to your daughter’s performance on a stage somewhere in America. Then I will be happy, because I know that our work is done: your dream has come true. On the way to that day, we will care for you and your family, help you find your way through immigration laws and regulations, set up legal protection for your family and help you plan for the future. That is our mission. Wolf W. Kaufmann is an attorney admitted to the Supreme Court in the state of California and to the Federal Courts of the Ninth and the Fifth Circuits and the Central District of California. He will represent clients in all California courts, all immigration courts nationwide, before the Board of Immigration Appeals and the Federal Circuit Courts of Appeal. 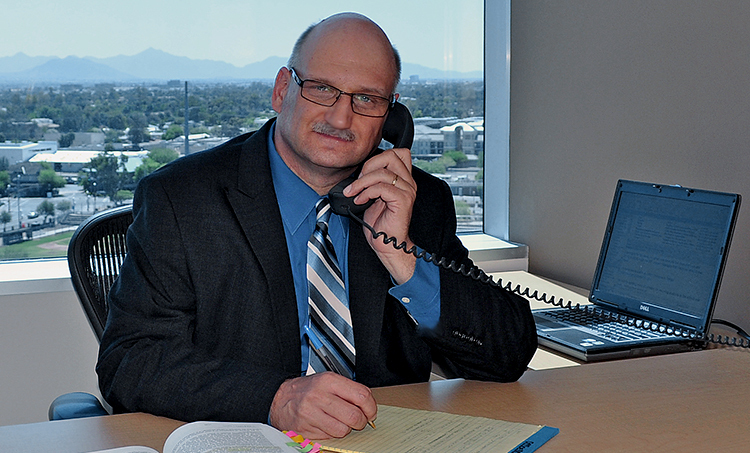 He also is a member of the American Immigration Lawyers’ Association, the National Association of Criminal Defense Lawyers and the East Valley Hispanic Business Association as well as of other professional associations.